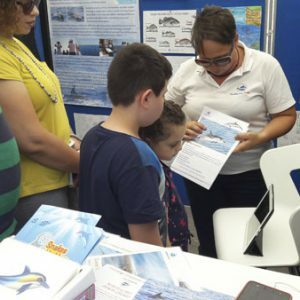 From Friday 29th June to Sunday 1st July we have the privilege to participate in the Open Weekend at the Fish Market of Marsa by the Department of Fisheries and Aquaculture. 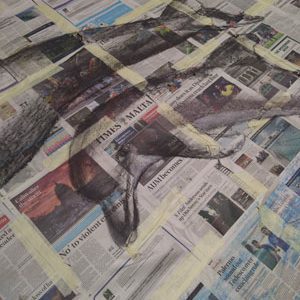 This open weekend activity will be marking the final phase of the European Maritime and Fisheries Fund (EMFF 2014-2020) part financed promotional campaign project. 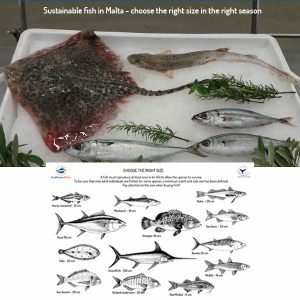 – Increase Awareness about the state of the local fish stocks. – The role of each of us in assisting conservation efforts. 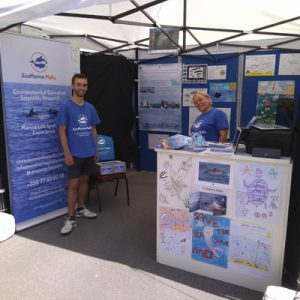 Eco Marine Malta participates during the three days of this event. 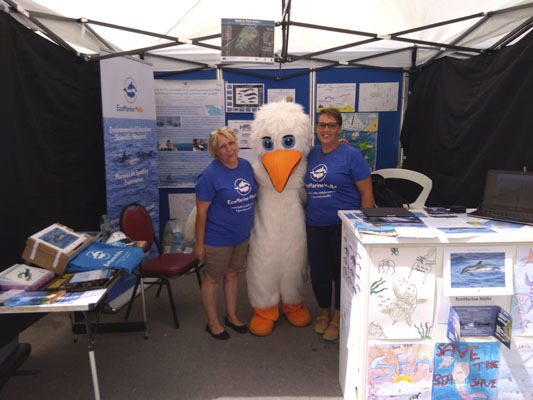 We had a stand giving information about the preservation of marine animals and the marine ecosystem, pollution of the seas, sustainable fisheries. We also prepare many educational games for kids. For the youngest pictures with the names of different marine species, another who consisted of recreating species whose parts of the body were separated in body, heads and tails to replacing them in their natural environment. 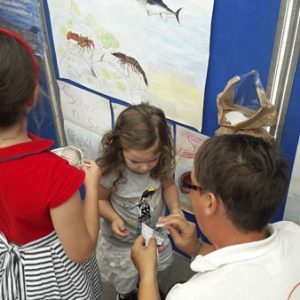 Or an educational tablet game to learn more about the way of life of these marine species, and a workshop creating fish/whales with recycled material. It was important to us to explain to the fisherman, and boat owner how to react when you see a cetacean on the sea, to not disturb them while observing them following a Good code of conduct. On Saturday we had the pleasure of welcoming Sara Pace Artis and her team who created a natural size shape of dolphins and then filled with waste funded on the beach and collected at home. Thank you to all the people who participate in and organise this event. Thank you also to the children for all these beautiful drawings. 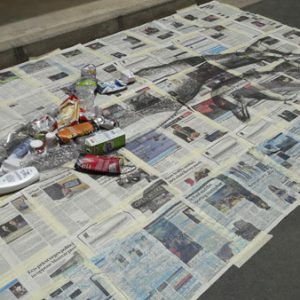 We would like to thank everyone who came during these three days, hoping that he learned more about how to save our seas.